Rapper Fat Joe has been cleared in a Wisconsin sexual assault case, his lawyer said Thursday night. (CNN) -- Rapper Fat Joe has been "officially cleared" after Wisconsin police investigated an alleged sexual assault reported by a woman last weekend, according to his lawyer. The 33-year-old Madison, Wisconsin, woman called police with a complaint of "inappropriate touching" after Fat Joe -- whose real name is Joseph Cartagena -- performed at the city's Orpheum Theater on Sunday night, a police report said. The woman said the incident happened inside a limousine with Fat Joe and other male subjects, the police report said. 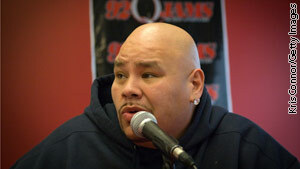 "Fat Joe had no contact with and never spoke to his accuser," attorney Dawn Florio said in a statement Thursday night. "He was questioned for a few minutes at his hotel room and was never detained by the police." CNN's Denise Quan contributed to this report.